It´s not the first time that we talk about vehicles directed towards leisure and open air activities. These vehicles are specially made for living at the beach, sand, salt and water. 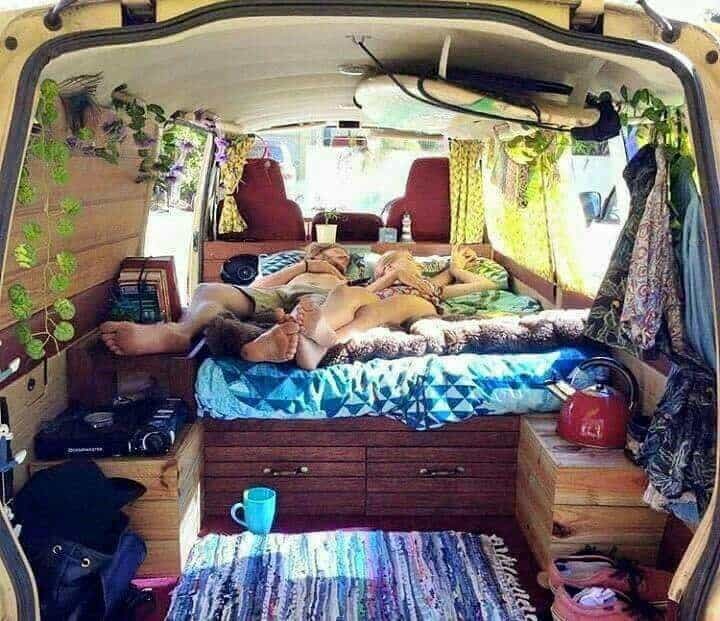 That’s why the majority of us surfers choose the van over any other vehicle. 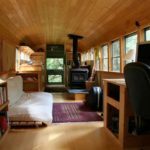 There are milliards of videos with instructions over how to turn your van into a camper, with every detail. 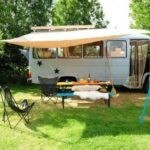 Today we will give you 10 homebrew ideas to camperize your van. With a Mercedes Sprinter or Volkwagen Crafter you want be left wanting. With its tall ceiling you can use a lot of the vertical space. 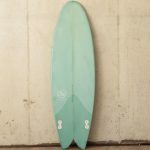 This under the bed there is a small kitchen and wardrobe that will let you store your surf arsenal. 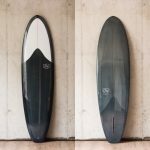 These next photos remind us of a Surfbus. 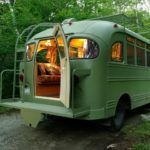 Camperizing old buses into campervans is something really fascinating, especially for surf fans and in road trips. 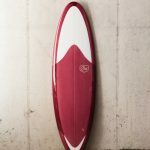 Discover all our surf accessories for your car in our online shop. 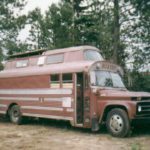 One of the most famous ambassadors in the bus camperization world is the Californian shaper Ryan Lovelace. 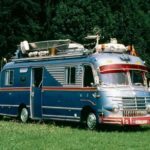 His Cosmic Collider is one of the most photographed campervans. 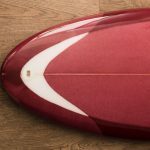 Discover spectacular Ryan Lovelace surfboard models in Single Quiver. 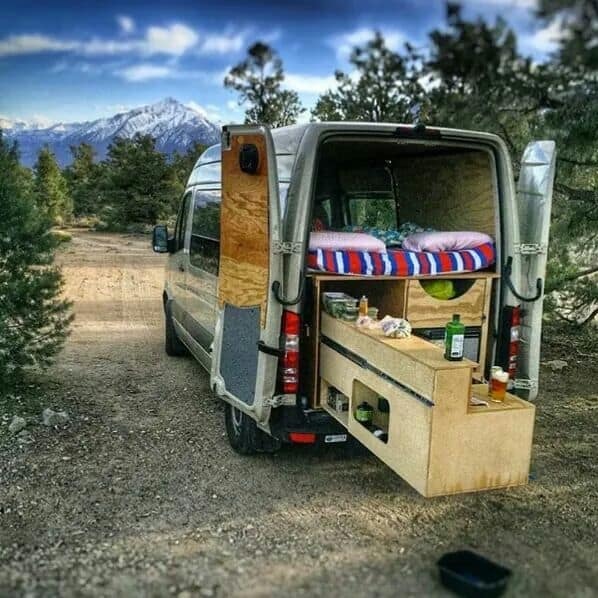 Here we have some ingenious people just like Ryan Lovelace that have converted old buses into camper vans. 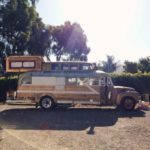 And we see Ryan Lovelaces ingenuity and creativity shine in his shapes and his camperized bus. This option reminds us of a smaller type of van, which could be a VW Transporter or a Mercedes. Just a while ago we talked about the Mercedes Marco Polo and Marco Polo activity. 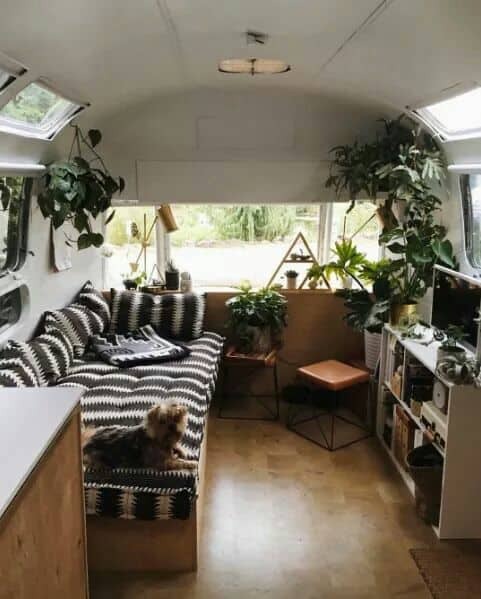 Both good van options. 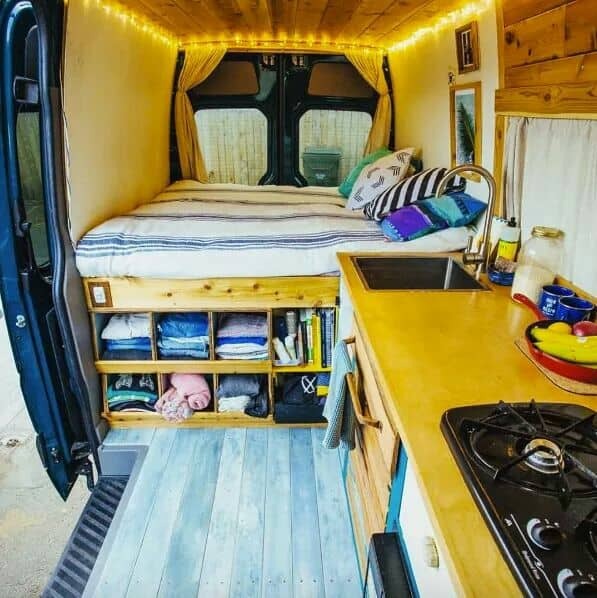 For those of us that don´t have such a big budget, we can always camperize an old Mercedes Vito or VW Transporter. Once again, this option is reminiscent of a surfbus than a van. We consider the next few options as interior design propositions. With wood or metal finishes, depending on your taste. 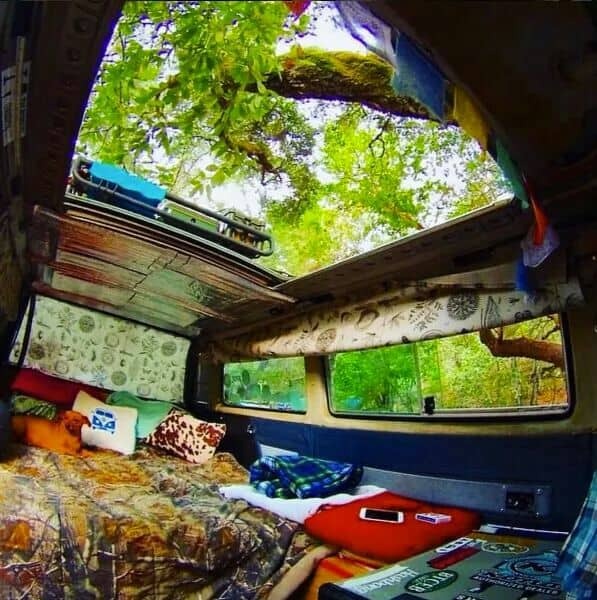 A van with an opening sunroof. 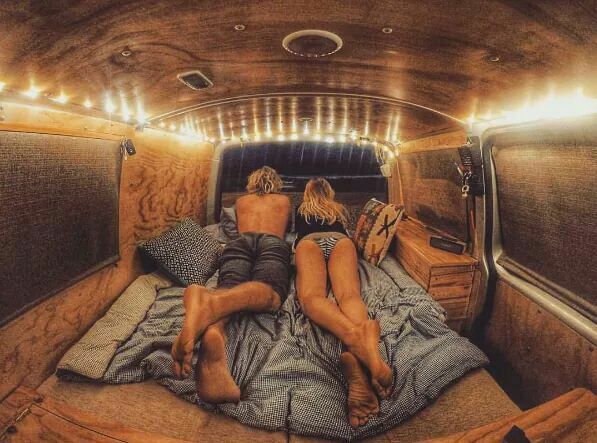 A magnificent way to see the stars from the comfort of your bed. 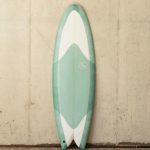 A small kitchen, a tv and a simple rack to keep your boards secure… the best hotel right at the shoreline. Interior with a wood finish and a “vintage” style illumination. 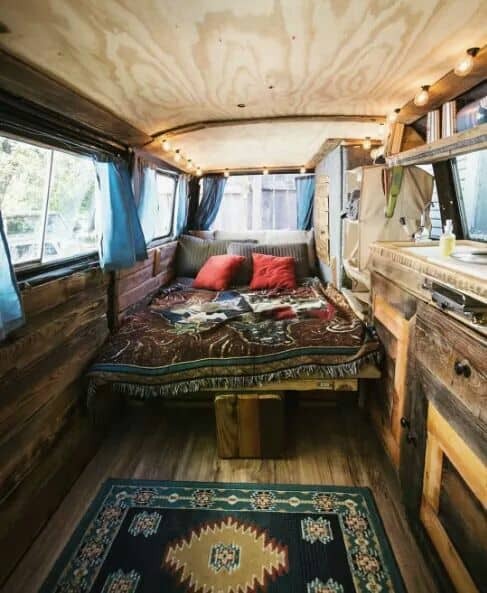 The perfect combination to give your van that rustic touch. Again we bring back the high ceiling that gives us space to use. A duplex over wheels. 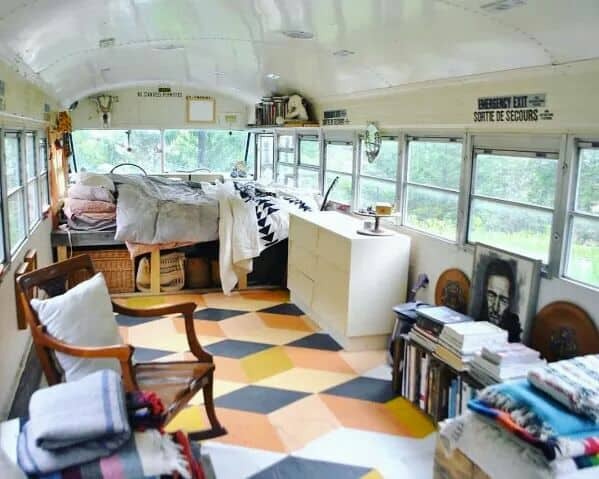 We finish with Cyrus Suttons camper, created from an old Sprinter. The result, a van which has every detail taken care of. 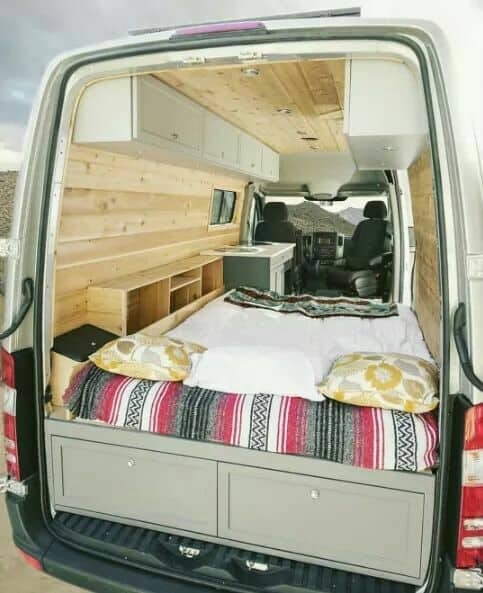 Maybe an old van won´t make it to the top 5 vans list, but are a great choice to make you dream house over wheels come true. 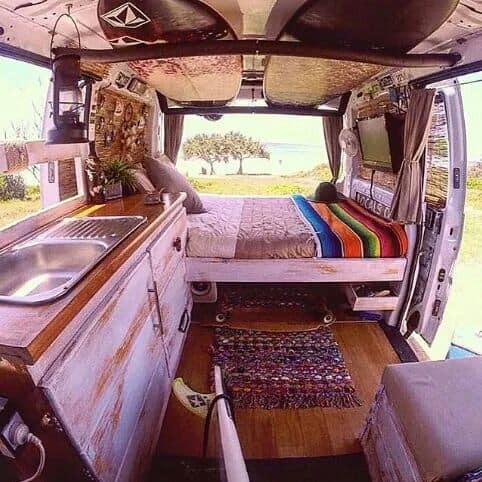 A moveable house that gives you the freedom to look for the waves you want, which in the end is what it’s all about. 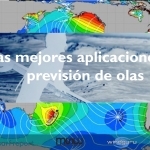 If you liked this article share it, give it a like or subscribe to our newsletter.